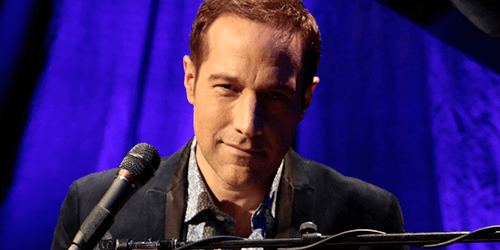 Jim Brickman’s distinctive piano style and captivating live performances have revolutionized the popularity of instrumental music, making him a driving force behind modern American music. The hit-making songwriter is the best-selling solo pianist of our time earning 21 No. 1 albums and 32 Top 20 Radio Singles in the industry bible, Billboard Magazine. He’s garnered two Grammy nominations, gospel music’s Dove Award, two SESAC Songwriter of the Year Awards, and the Canadian Country Music Award. He also has a music scholarship named for him by his alma mater, the prestigious Cleveland Institute of Music. Born and raised in Shaker Heights, Ohio, Brickman began his music training at the age of five. But young James wouldn’t conform to the rudimentary regulations of piano lessons. “He didn’t have the knack for it,’ his first teacher would say. That didn’t discourage the tenacious pianist from creating his own unique brand of musical storytelling. Brickman is one of pop music’s most fascinating success stories. He jumped from a career as a jingle writer of famous tunes for advertising to reviving the romantic standard of the popular song. His first album release was 1995’s “No Words,” and he’s gone on to sell eight million albums worldwide. His star-studded vocal collaborations have crossed genres to feature luminaries like, Martina McBride, Carly Simon, Lady Antebellum, Michael W. Smith, Herb Alpert, Michael Bolton, Donny Osmond, Kenny Rogers, Olivia Newton-John, Johnny Mathis, Kenny Loggins, Jane Krakowski, and a host of country, R&B, Broadway, pop, and jazz musicians. As a true artist that lives and breathes the music he creates, Jim Brickman is thrilled to introduce fans to his most recent songs and perform them live in concert halls across the world.